The water damage Piscataway team at 911 Restoration New Jersey is capable of effectively extracting water from your home, averting extensive flood damage. We use the latest water removing and drying technology to get your home clean, safe and moisture-free. We are available 24/7/365, and provide same day services, so you never have to wait for help during an emergency. Our water damage Piscataway staff can help with all disaster restoration services in the area, including a pipe bursts and water overflows. New Jersey gets its fair share of rain and snow, and even though the elements have the ability to cause a great deal of water damage, homeowners are also at risk of experiencing problems due to broken pipes, a loose hose or a leaky ice maker. Call our headquarters when you need fast assistance, and we will dispatch IICRC certified water damage Piscataway technicians to your home right away, enabling them to get to your property within 45 minutes. Our water damage Piscataway specialists are licensed, insured, and bonded to best protect your home against an unforeseen event. We know how to guard you against a sewage backup or mold troubles. You can rest assured that we know all of the most ground-breaking methods for cleaning and disinfecting your home after a water-based disaster. 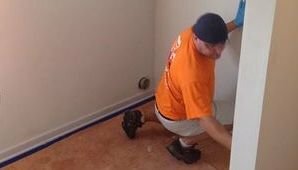 Our water damage Piscataway pros know how imperative it is to provide expert water damage repair, which is why the customer is always our main priority. When we arrive on the scene we will do everything we can to put your mind at ease and begin the restoration process. So, call our water damage Piscataway crew when your home floods, and we will begin water extraction services immediately. 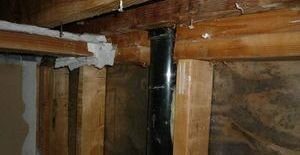 When you hire us, we immediately conduct free home inspection, ensuring that the extent of the damage is fully realized. As soon as the damage is assessed, our water damage Piscataway unit will walk you through the entire property renovation process, confirming that everyone is always on the same page. We make sure that we have the most affordable prices in the industry, ensuring that everyone can afford to reach out to us for help. Home remediations can be costly, but our water damage Piscataway operation makes sure to work with all major insurance companies to keep your out-of-pocket prices low. To help make this process run smoothly, we will file your insurance claim for you, and assist you in getting the best coverage you policy allows. When you need affordable and efficient assistance, call our water damage Piscataway workers at 911 Restoration of New Jersey to come rescue you from the flood today.